England, 1851: When Clara Chapman receives an intriguing invitation to spend Christmas at an English manor home, she is hesitant yet feels compelled to attend—for if she remains the duration of the twelve-day celebration, she is promised a sum of five hundred pounds. But is she walking into danger? It appears so, especially when she comes face to face with one of the other guests—her former fiancé, Benjamin Lane. Imprisoned unjustly, Ben wants revenge on whoever stole his honor. When he’s given the chance to gain his freedom, he jumps at it—and is faced with the anger of the woman he stood up at the altar. Brought together under mysterious circumstances, Clara and Ben discover that what they’ve been striving for isn’t what ultimately matters. What matters most is what Christmas is all about . . . love. Clue meets Survivor in this Victorian-era story in which seven invitees be the last person standing-so to speak-to gain their hearts’ desires (which is different for each character). I loved the descriptive way the author wrote which allowed me to visualize “ancient buildings with rheumy windows” and feel the fog “cold as an embrace from the grim reaper.” Clara and Hunter are well-written complex characters with real life struggles and insecurities. I enjoyed following their journey toward a deeper faith. Despite the large number of characters, each was unique with her or her own voice, and thus I was able to keep track of them. I was surprised at the solution of the mystery, but perhaps I missed some of the clues along the way. I love historical novels that educate me about the era in which they are written, and 12 Days didn’t disappoint. There were a couple of “laugh out loud” moments which lightened the tension. The good news is that this is the first in a series. 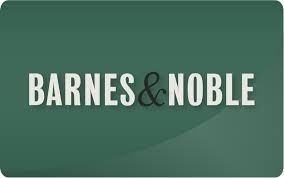 Dickens fans will especially enjoy the book. I received a free copy of this book from CelebrateLit Publicity, and a favorable review was not required. All opinions expressed are my own. Michelle Griep’s been writing since she first discovered blank wall space and Crayolas. She is the author of both Regency and Colonial historical romances but also leaped the writerly fence into the realm of contemporary with the zany romantic mystery Out of the Frying Pan. 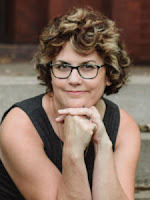 Keep up with her escapades at www.michellegriep.com or stalk her on Facebook, Instagram, Twitter, or Pinterest. Queen Elizabeth’s husband, the German Prince Albert, introduced the concept of a Christmas tree to Windsor castle. And you know, if it’s good enough for royalty its good enough for the common folk, right? So, the tradition spread. Generally trees were brought inside on Christmas Eve and taken down on January 6th. Trees were decorated with homemade ornaments from paper or fruits and nuts, strings of popcorn or cranberries, or hanging cookies such as gingerbread men from the branches. And remember, an authentic Victorian Christmas tree would’ve been small, like small enough to stand on a table. Holly. Evergreens. Mistletoe. Most Victorians couldn’t afford store-bought decorations even were there a commercialized industry at the time (which there wasn’t). So the next best thing was to bring in some free/natural ornamentations. Greenery would’ve been perked up with berries, ribbons, dough ornaments or flowers. Pinecones were also scattered throughout the house. “Writhen” is the root word where we get the word wreath from. It’s an old English word meaning “to writhe” or “to twist.” While the art of hanging wreaths goes back to Roman times, Victorians continued the tradition. Candles were primarily placed in one of two spots during a Victorian Christmas. A single candle in a window was lit to show that the house was willing to provide food and shelter to travelers. Candles were also used on each and every branch of a Christmas tree, which meant a huge danger of fire. Usually a servant would stand nearby with a bucket of water just in case the thing started to burn. Dresdens are ornaments hung from the tree, from a window, or really hanging pretty much anywhere. These were handmade by cutting out shapes (usually animals or trains) and painted with metallic paint so that they looked like metal. And that’s about it. No obnoxious Santas or reindeer inflated on the front lawn. No psycho Christmas lights strobing enough to give every passerby a seizure. Just plain and simple decor that made the home feel cozy. And speaking of cozy, how about grabbing a blanket and a cup of hot tea and settling in for a holiday read that’s sure to put you in the Christmas spirit? 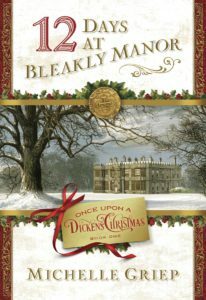 My latest release is 12 Days at Bleakly Manor, a Victorian blend of Dickens and Agatha Christie. To celebrate her tour, Michelle is giving away a grand prize of a $25 Barnes & Noble Gift card and a signed copy of 12 Days of Bleakly Manor! !